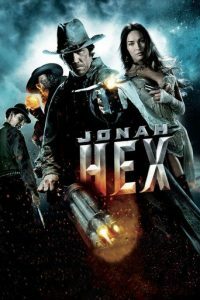 Jonah Hex is one of a rash of movies lately about fallen heroes who must go on an action-packed adventure to save their reputation or their lives. Jonah Hex is a bounty hunter in the old west who has a warrant on his own head. In exchange for his life, he must stop a terrorist who is about to unleash unabashed havoc and destruction. 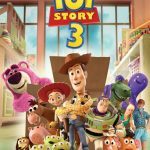 Set in the Wild West, the movie serves as a revival of the spaghetti western of old, only updated with much more gratuitous violence than the old classics. It is an epic adventure with a larger than life hero with superpowers, who must face an even larger than life evil villain. Jonah Hex contains many elements of the old western flick such as the standard saloon-girl sexual content, punching, and too many flying bullets to count (all delivered from a ridiculously large gun). Sexual content is suggested only, save for a few gratuitous cleavage shots. Jonah Hex’s disfigured face, created by a branding iron in the beginning of the movie, may be disturbing to some. The setting of the movie gives it a less real quality than similar movies set in modern times. 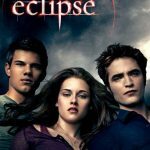 However, this movie is not for the weak of heart, or those who are very young.